Active Ball - Ask your PocketPC, "Are you tired of running boring applications? Would you like to take a break and grab a byteful of fun?" If your PocketPC says "Yes" - give it some Active Ball, a carefully crafted arkanoid remake. Your Pocket PC is worth it! Magical Ball - Arrange same color balls in a line by moving one ball at a time. When 4 or more balls are arranged in a line those balls disappear and your score will increase. There are few double color and multi color balls make it more interesting. Bubble Snooker - Bubble Snooker is a game that combines the best features of Bubble Shooter, Pool, and Arcanoid. 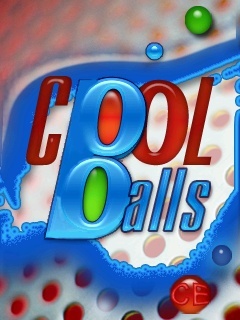 Your task is to remove the balls from the table by shooting at them with the balls of definite color and combining together 3 or more balls of one color. Buzoot - Simple, yet addictive ball shooting puzzle game. Aim with your mouse and shoot the balls before they touch the dead line. There are three games modes and few special balls to ensure fun for long time.